The disgraced former MP has been sentenced for fiddling £8385 in expenses. Disgraced former MP Jim Devine has been sentenced to 16 months in prison for fiddling his expenses. Devine, 57, was found guilty at Southwark Crown Court last month of two charges of false accounting after dishonestly claiming £8385 in expenses during his time in office. As he sentenced the politician on Thursday, Mr Justice Saunders said: "Mr Devine set about defrauding the public purse in a calculated and deliberate way. He also supported his claim with forged documents. "These offences constituted a gross breach of trust which along with others has had the effect of causing serious damage to the reputation of the Houses of Parliament. "Mr Devine made his false claims as a time when he well knew the damage that was being caused to Parliament by the expenses scandal but he carried on regardless." On February 10 a jury found the former Livingston representative guilty after a trial of two of the three charges he intially faced. In total, Devine was found guilty of submitting £8385 worth of false claims between 2008 and 2009, backing them up with seven false invoices. Five of the documents were in the name of Tom O'Donnell Hygiene and Cleaning Services. Mr O'Donnell was the landlord of the Prince of Wales pub - Devine's local in Kennington, London. After moving to London following the election, Devine asked the publican if he could help him find a cleaner for his flat in Hayles Building, Elliotts Row, Kennington. The two men agreed that Mr O'Donnell would make maintenance arrangements, and the MP would pay him back at a later date. Devine persuaded Mr O'Donnell to hand him a blank invoice so he could claim the cost of the work back from Parliament, but went on to photocopy it and use it to support the false claims. The second charge related to false invoices for £5505 Devine claimed to have spent on communications with a company called Armstrong Printing Ltd between March and April 2009. He asked them to mark two invoices "received with thanks", to indicate he had paid for orders. However, he never handed over any cash for the two ghost orders, worth £2400 and £3105. Devine pocketed the money after submitting the receipts to the fees office between March and April 2009. 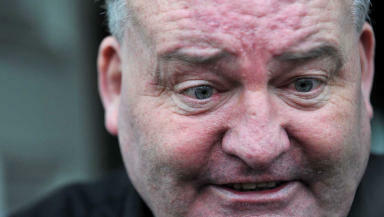 Labour party have expelled Devine from the party following his sentence. A spokesperson said: "The Labour Party prevented Mr Devine standing as a Labour candidate at the last election, and he was then suspended. Following his custodial sentence, he has been automatically expelled from the Labour Party." At the end of February he was declared bankrupt by a court after failing to pay a compensation order to former employee Marion Kinley.